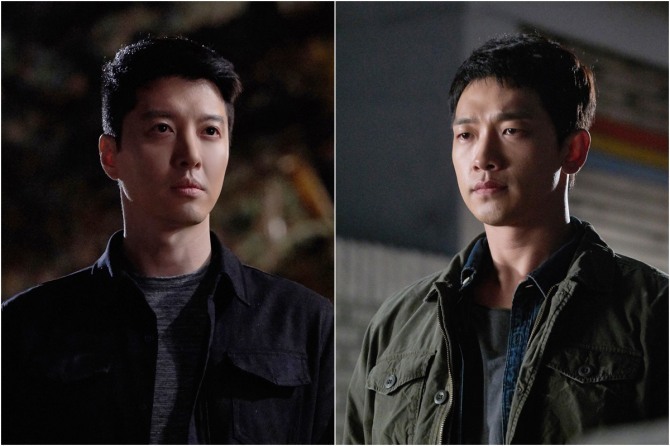 Producers of the upcoming JTBC drama “Sketch” revealed an image from the show of main characters Gang Dong-su and Kim Do-jin, played by Jung Ji-hoon and Lee Dong-gun, respectively. Gang is a detective who lost his girlfriend while Kim is a special forces officer who lost his wife. The paths of the two avengers parallel each other, leading to conflict. “Sketch” refers to the special ability of detective Yu Shi-hyeon -- played by Lee Sun-bin -- who can sketch what will happen 72 hours into the future. The first episode is to air on May 25. The show airs every Friday and Sunday at 11 p.m.